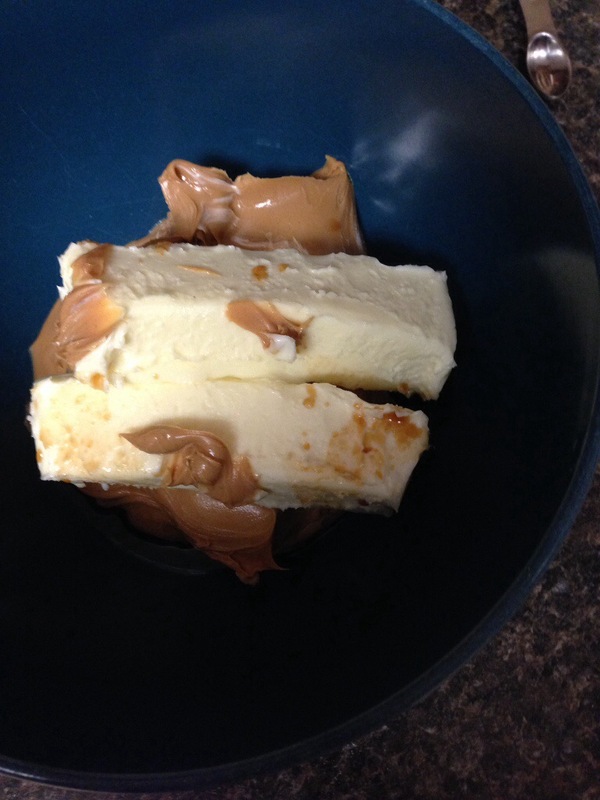 In the bowl of your stand mixer, combine the butter, sugars, egg, and vanilla. Beat until completely incorporated. 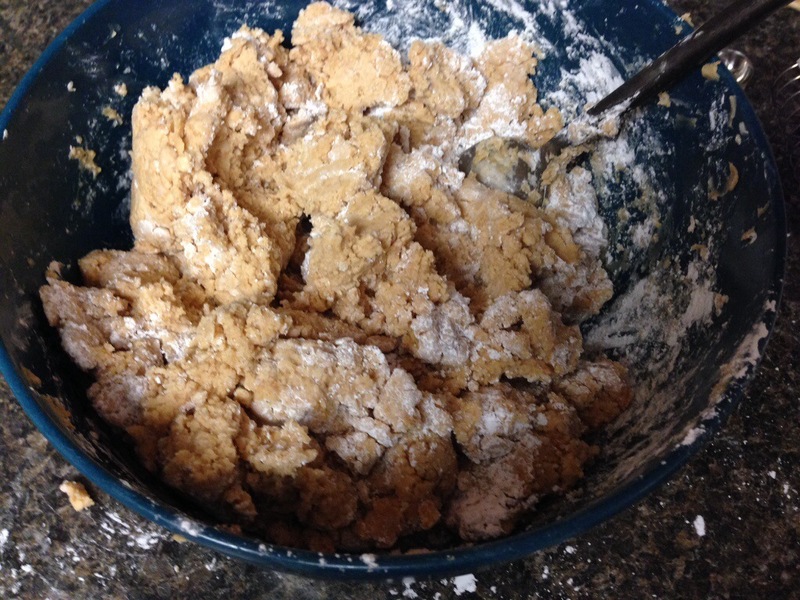 Next, scrape down the sides, and add the flour, pudding mix and baking soda. Beat on low speed until just combined. 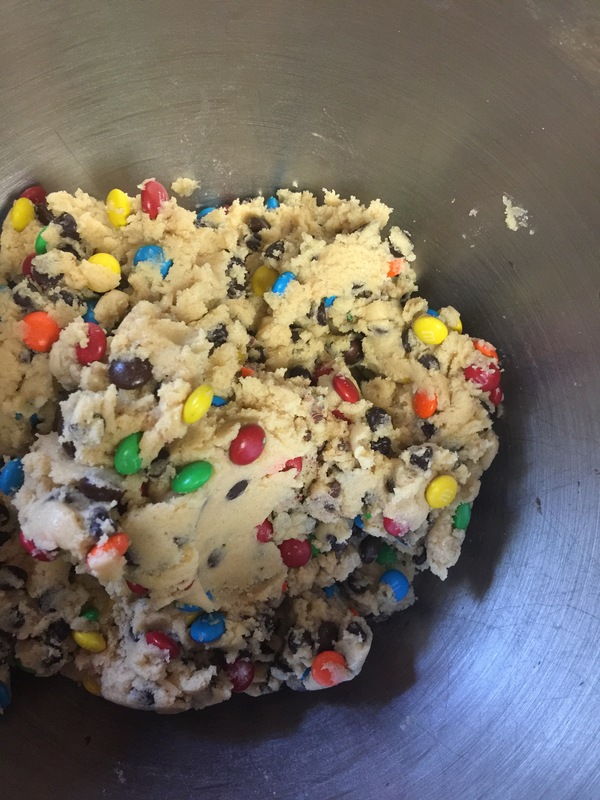 Add in the m&ms and the chocolate chips and beat until just combined. 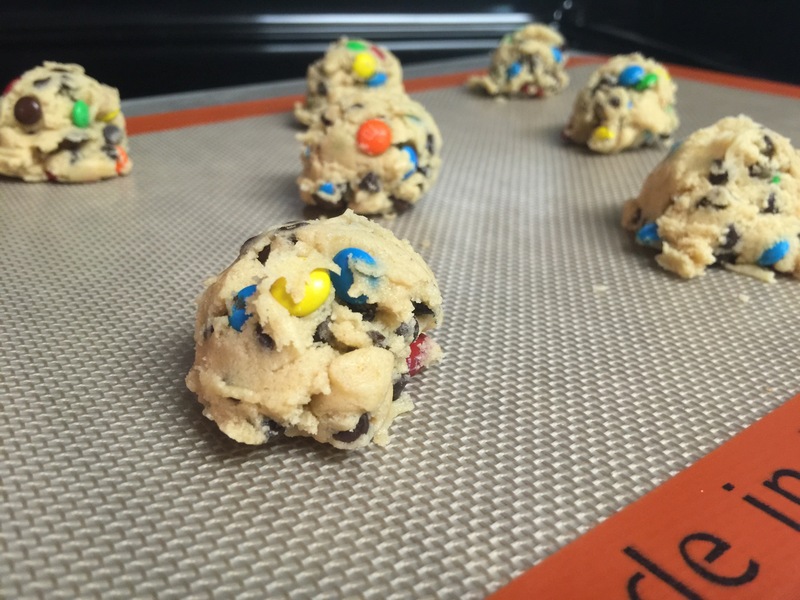 With a medium cookie scoop, place dough balls 1 inch apart on your cookie sheets. I love my Silat baking mats and my cookies come out beautiful every time! Bake for 10-12 minutes or until bottoms are golden brown. 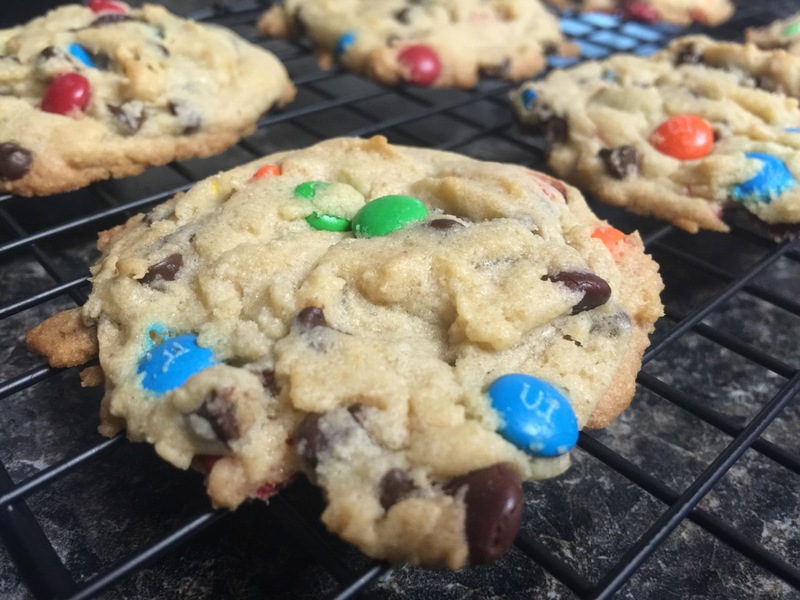 Allow to cool a few minutes on the baking sheets before moving them to the cooling racks. This was my first week on my own with the girls after all our family left. I was a bit scared at firs, but I think the transition has gone fairly well. Much better than I thought it would! I’ve been trying hard to make it a point to do something with Paisley every day so she doesn’t feel lost in the shuffle. On Tuesday we painted an Easter bunny cutout together, Wednesday she had a friend over to play, and today we made these Rice Krispie eggs. 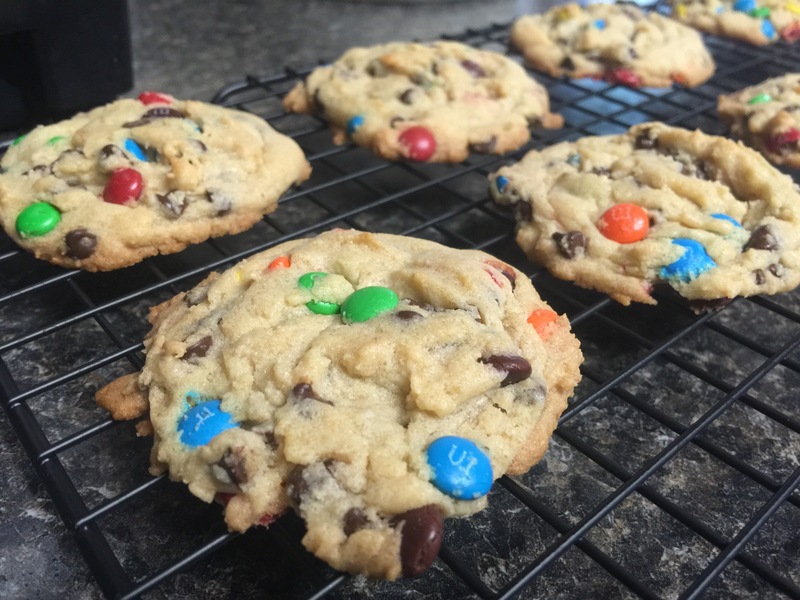 I found this recipe on The Pioneer Woman (my idol)’s page and thought it seemed like a great activity to do with big sister. We had a lot of fun making them together and it was just something she got to do with mommy by herself. Begin by melting your butter in a large stock pot. Once the butter is melted, add in the whole bag of marshmallows. 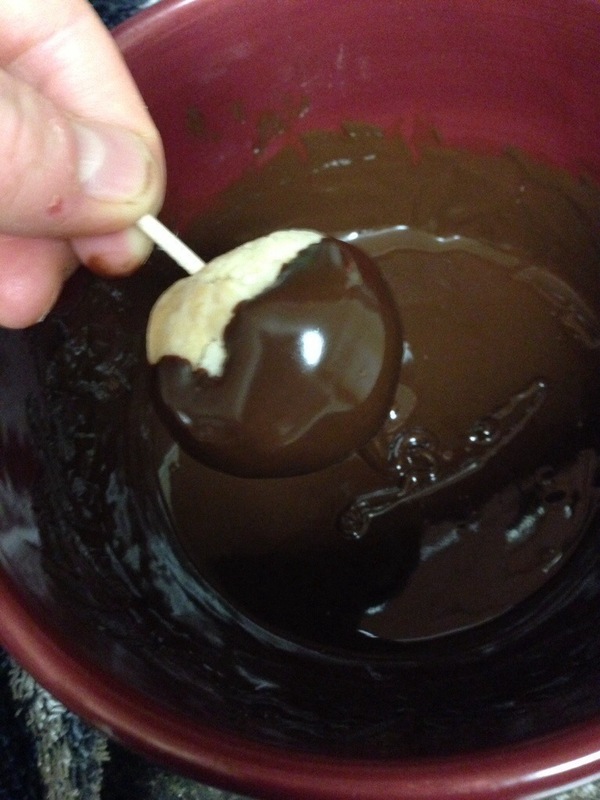 Using a wooden spoon, continue to stir the mixture until the marshmallows are completely melted. Remove the pan from the stove (so the mixture doesn’t burn) and add in all the rice cereal. Stir until completely incorporated. Place the treat eggs in an empty egg carton and decorate with the assorted sprinkles. You can roll the eggs in the sprinkles, but Paisley just decorated them right in the carton. One of my good friends, Stephanie came over the other day and we had a massive baking day! It was super fun and we got a lot of treats made! 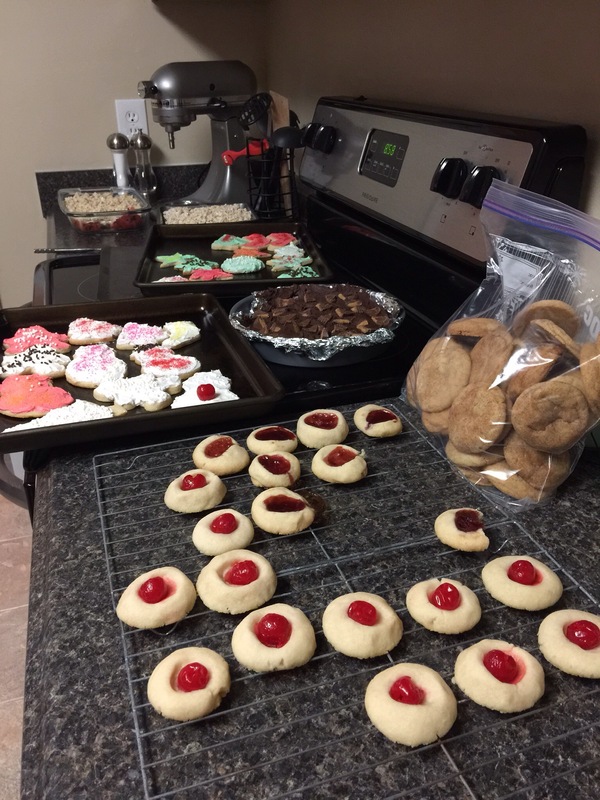 We made Reese’s fudge, Sugar cookies (recipe is already on here), raspberry and cherry almond shortbread cookies, and Snickerdoodles! I’ll get the recipes posted on here for you guys. I hope everyone has a wonderful Christmas! Blessings! Here’s the fudge recipe, which is basically a huge Reese’s ball! Yum! Line an 8×8 pan with tin foil, and spray lightly with nonstick cooking spray. Chop the mini Reese’s into quarters and the regular size cups into eighths. Place the mini chopped Reese’s in the bottom of your pan and set aside the regular Reese’s for later. Pour the chocolate chips and condensed milk into a large glass bowl. Microwave in intervals of 30 seconds, stirring well after each time. Once the chips are melted, pour the mixture over the top of the mini Reese’s and spread evenly. Sprinkle the reserved regular Reese’s over the top of the chocolate mixture and press them gently in. 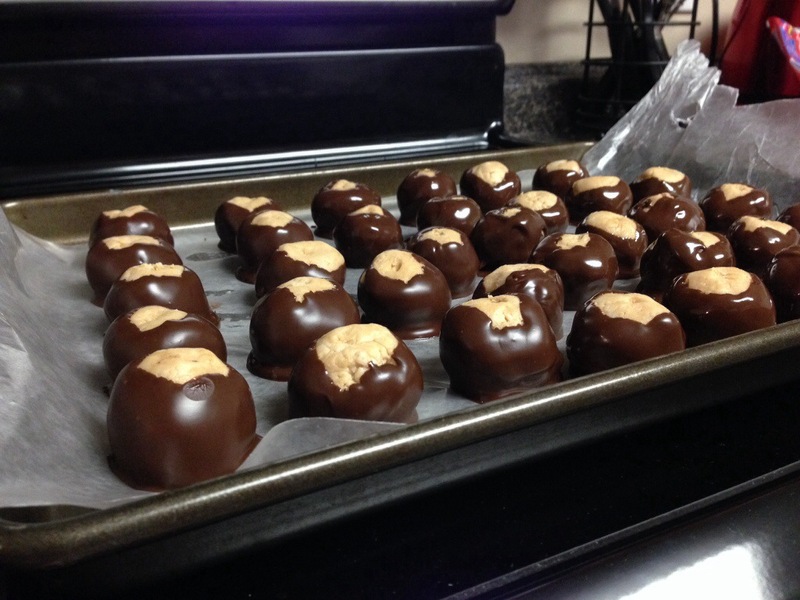 Buckeyes… Just excuse me as I swoon over here! 🙂 these are absolutely decadent, very rich though so you can only eat a couple in one sitting, but perfect for this time of year. The peanut butter and chocolate is so comforting and makes you just want to curl up by the fire with a good book while the snow falls outside! They’re THAT good! 😉 Also an incredibly fast little recipe, so you really can’t go wrong! 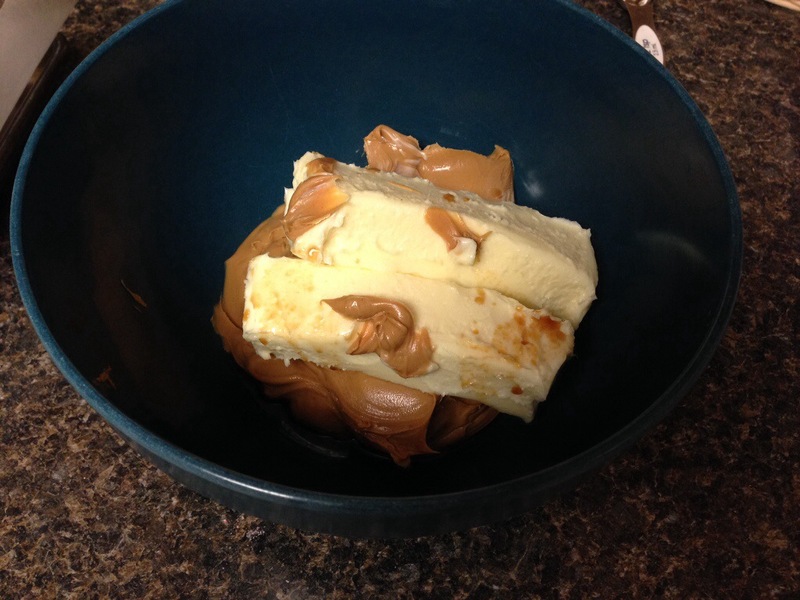 In a large bowl, mix the peanut butter, butter, vanilla, and confectioners’ sugar. The dough will expertly dry. 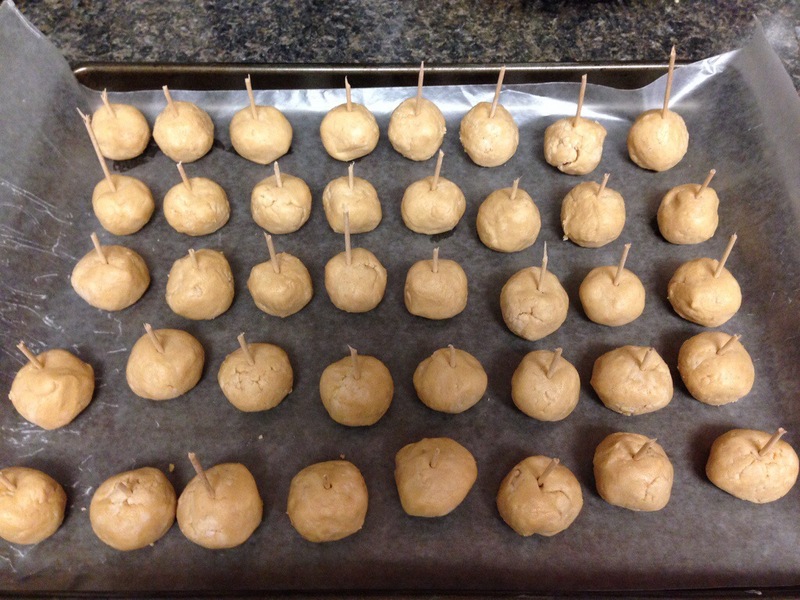 Roll into 1-inch balls and place on a parchment paper lined cookie sheet. Chill in the freezer for about 30 minutes, or until firm. A good trick before placing them in the freezer is to stick a toothpick it the top of each one, this will make for easier dipping later on. 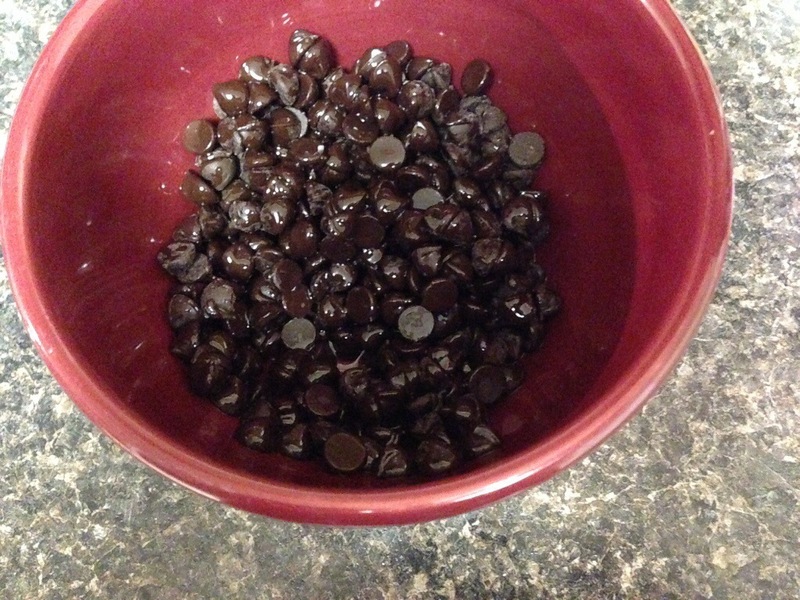 Place chocolate chips and the canola oil in a microwave safe bowl and melt in the microwave for about 1 minute. I do intervals of about 30 seconds, until it’s melted completely. 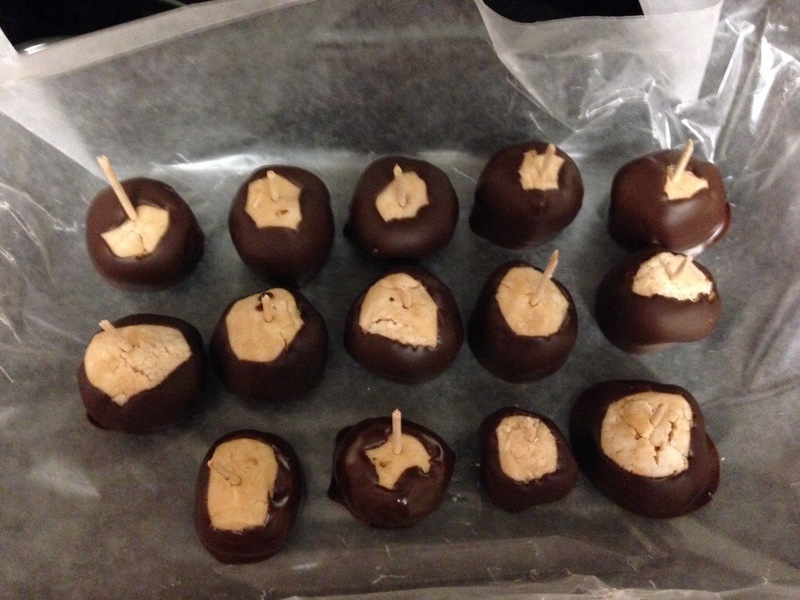 Dip frozen peanut butter balls in chocolate, holding onto the toothpick. Leave a small portion at the top to look like eyes. 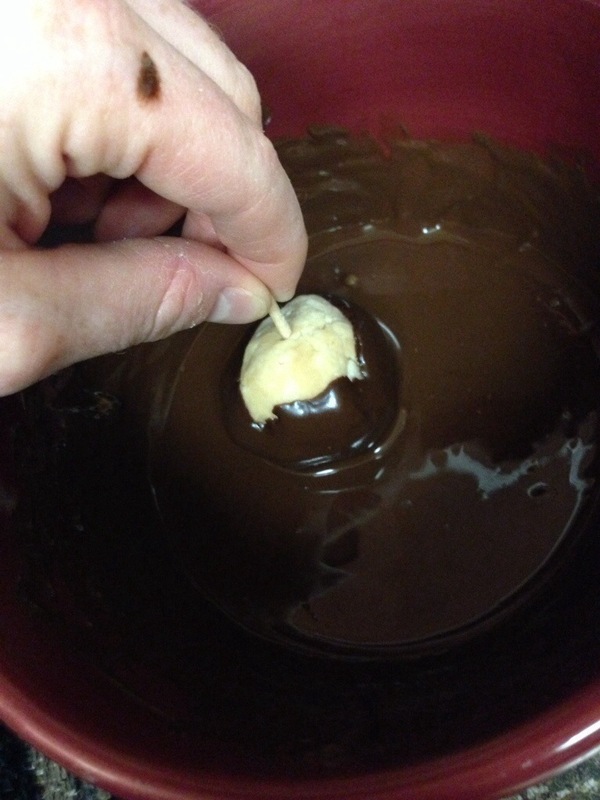 Put the dipped chocolate balls back on the cookie sheet and refrigerate until ready to serve.